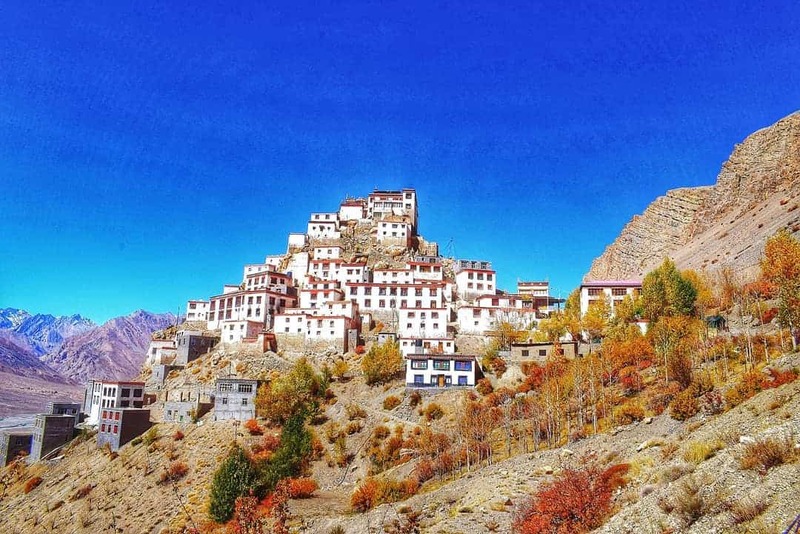 Spiti Valley budget trip is a dream come true for every backpacker. This part of the world is one of the most surreal places that you’ll ever visit in your lifetime. 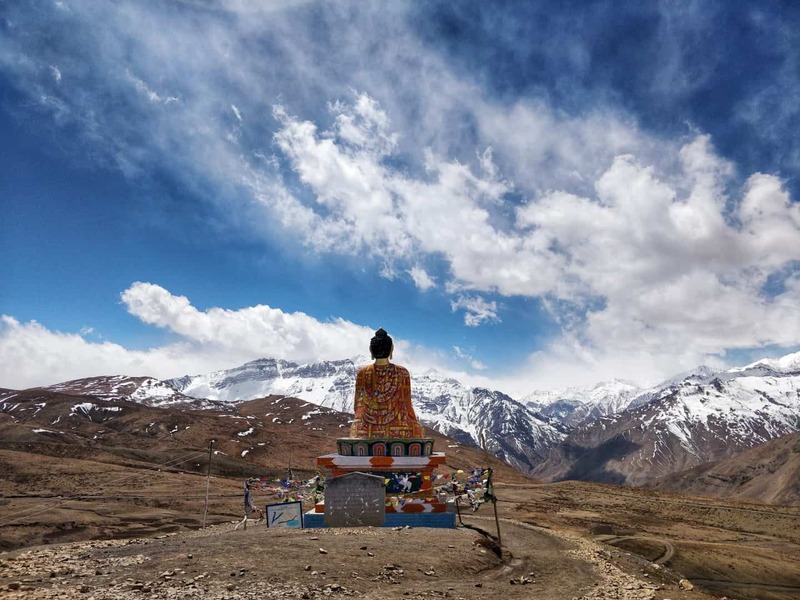 Spiti Valley is home to enchanting monasteries, snow-capped mountains, the pristine Spiti River, clear skies that boast of countless stars and the crescent-shaped Chandratal Lake. Also, this region has the world’s highest and old-fashioned petrol pump at Kaza, the world’s highest motorable village Komik and the world’s highest post office at Hikkim. In addition to the natural beauty of the place, your Spiti Valley budget trip will turn out to be memorable because of the heartwarming people of the region. They will welcome you with open arms and make you feel at peace. 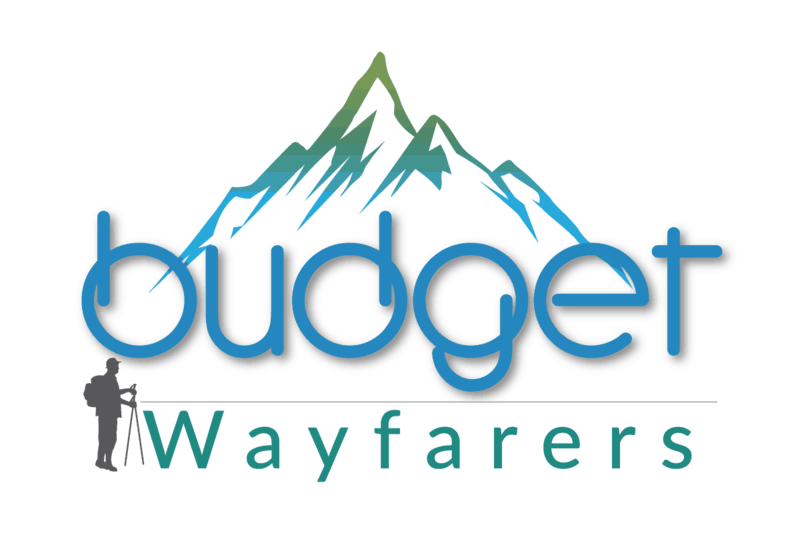 So let’s come down to the most trivial question asked by most travellers: is a Spiti Valley Budget Trip possible? Too much to see, not enough funds? Fret not, you’re not the only one. In the current blog, I will describe my personal travel experience in Himachal’s Spiti Valley. 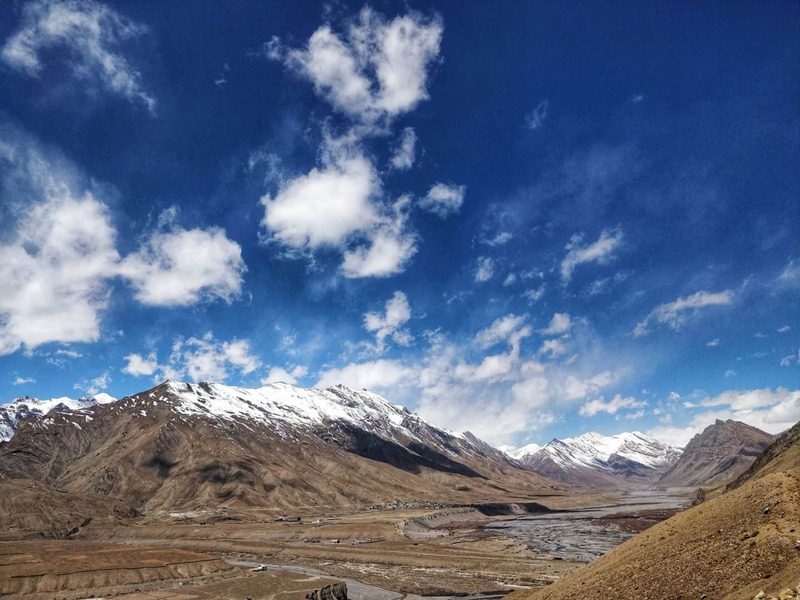 I will tell you all about my Spiti Valley budget trip and how exactly I managed to keep the Spiti 10 day trip reasonable. Here’s a brief overview of my Spiti Valley Budget Trip – one which was heavy not on the pocket, but on the feel. Reaching Spiti Valley is no easy task. Only the brave and truly adventurous travellers can undertake this journey. Whatever route you choose to reach Spiti Valley, the long and rough journey is going to give you a hard time. The rough terrain and unpredictable weather make the journey all the more challenging. There are two options to reach Spiti Valley. One is the route via Shimla and the other is via Manali. The choice of your travel route is totally up to you. While I chose to travel via Shimla for my Spiti valley budget trip, you can choose the one through Manali as well. How to reach Spiti valley from Manali? In order to reach Spiti valley from Manali, you need to first reach Manali. From Manali, you can head towards Kaza. The journey through to Spiti Valley through Manali will take you through the beautiful Rohtang pass and Kunzum Pass. However, the downside of choosing this route is that it is open only for a brief period of 3-4 months between the end of June up to September. Also, since you have to cross the Rohtang Pass, which is a popular destination for travellers visiting Manali, you might find long traffic jams on the route. Another drawback of this travel route is the gain in altitude. If you are travelling via Manali, you will be gaining altitude rapidly. A lot of people might suffer from Acute Mountain Sickness or AMS when travelling through this route. To avoid the symptoms of AMS you can take some precautionary measures such as taking a pill of Diamox or similar medicine at least one day before embarking on your journey to Spiti valley. Also, make sure you stay hydrated throughout the journey. Note: The Flights to Bhunter are mostly regular, but do check the availability in advance to be sure. Also, this might be the easiest and most convenient way to reach Manali, but it is not recommended for a Spiti Valley budget trip. Note: Recommended for Spiti Valley Budget Trip. How to reach Spiti valley from Shimla? The other option available for reaching Spiti valley is taking the route through Shimla. 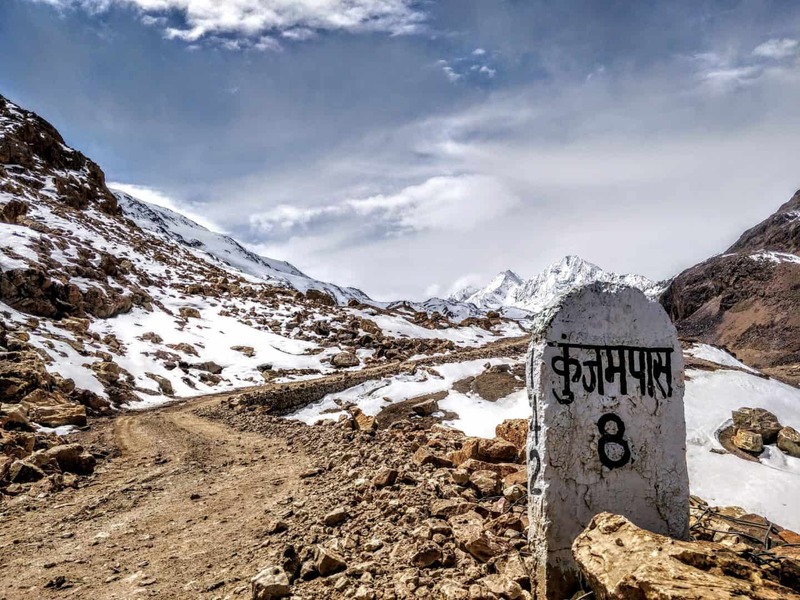 This route will take you on the Hindustan-Tibet road, through Kinnaur. The best part of taking this route is that the ascend is going to be gradual. Therefore, your chances of getting AMS are almost negligible. However, the shortcoming of this route is that in monsoon season, the route is prone to landslides. Another problem is that you cannot reach Kaza directly from Shimla. You have to break your journey into two parts. Part 1 is travelling from Shimla to Reckon Peo in Kinnaur district. Part 2 the journey from Reckong Peo to Kaza. Also, there is a limited bus service from this area. I chose to travel from Shimla on my Spiti Valley budget trip. Note: The Flights to Shimla are not regular, so do check the availability in advance to be sure. Also, this might be the easiest and most convenient way to reach Manali, but it is not recommended for a Spiti Valley budget trip. Where to Stay in Spiti? Home stays, guest houses and certain small hotels make up for good accommodation. In the current blog on Spiti Valley budget trip, I will mention to you the places where I stayed. The owners are trustworthy and the conditions are decent given the topography of the place. Our Spiti valley budget trip was planned from Shimla. You can also plan it via Shimla. Here is the overviews 10-day budget travel itinerary for Spiti via Shimla. After getting a good night’s sleep and resting our bodies tired from the long journey to Shimla (the capital and one of the major towns of Himachal Pradesh), we were finally heading towards Spiti Valley. 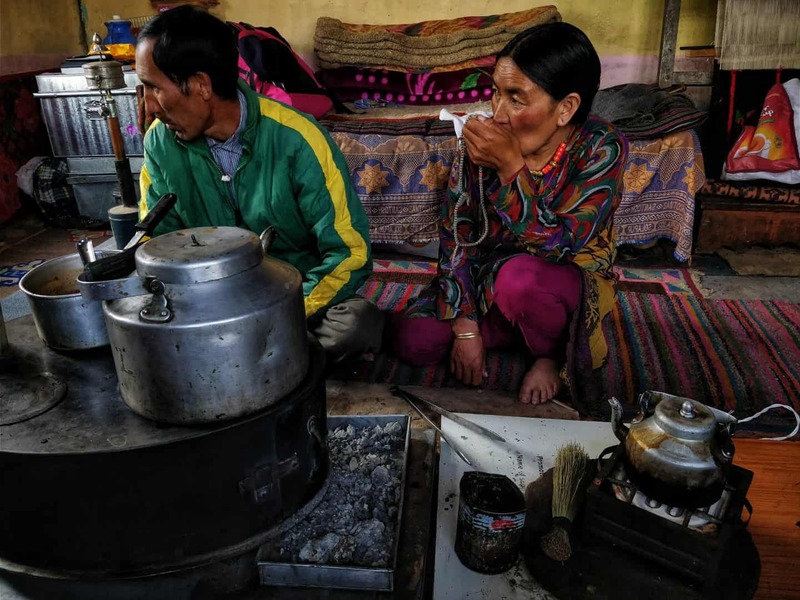 We grabbed breakfast along with our haversacks and hopped on to a local bus that would cover a distance of 230 kilometres and take us to a place known as Reckong Peo. Tip: There are buses that leave from Shimla starting 4 AM to about 11 AM, at a frequency of half an hour. 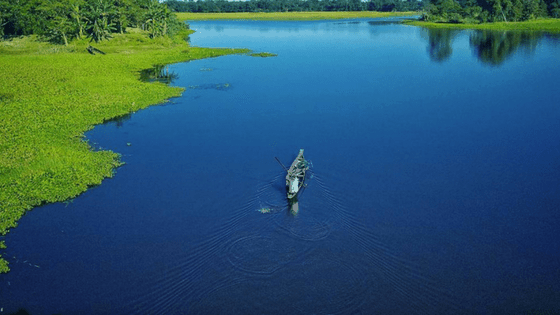 Now you do have the option of booking a cab instead, but believe it or not, the bumps, the stares, and the cramps that accompany the economical bus rides will make your journey memorable. Therefore, travel by bus. Also, travelling by bus is the best option for Spiti Valley budget trip. Tip: To all the women out there, do not forget to ask for Women’s Concession on your Spiti Valley Budget Trip. We made it to Reckong Peo at around 4 pm and were almost desperate to have a room to ourselves, to rest our backs, and to devour some steamy momos. Reckong Peo finds itself at about 2290 meters above sea level, in Kinnaur district of Himachal. It is a bustling town as per Himachal standards, but nevertheless pretty with its breathtaking views of the snow-capped Himalayas. While the options were many, we finally checked in to Hotel Jeevan Jyoti. This place turned out to be clean, hospitable, and affordable. Make sure you go to bed early, for the next day is going to be a tough day. Well, it turned out to be way tougher than we thought it would be. Here’s a breakdown of the money spent on the first day of Spiti valley budget trip. We were to get the bus starting from Reckong Peo at about 7:15 am, and the same would take us to the beautiful town of Kaza, in Spiti Valley. Tip: Make sure you’re well in time for this one, for there’s just one bus on this route on an ordinary, daily basis. Tip: Be sure about what the “starting point” of the bus is. Additionally, booking your tickets in advance would definitely help. Although we finally got lucky, (“getting lucky” meant having just one seat to ourselves) – one seat that we tiresomely alternated amongst the three of us almost till the very end. To our horror, a crowded bus with almost no space approached us. After somehow stuffing in our haversacks in the dusty back of the bus, we squeezed into the bus where we almost felt like foreigners. This had probably been the most tiring journey of my life; but what made it special was really the little things – steaming hot rajma chawal for lunch at our halt at Nako, driving through heavy clouds, holding tight as we made it through steep roads, landslides, and unpredictable weather conditions, and gaping at the ever-changing terrains. We reached Kaza at about 5 pm, and we couldn’t believe where we were. It was almost like time stood still. Vast stretches of nothing but barren mountains capped with snow, chilled winds, and the three of us almost forgot how tired we really were. 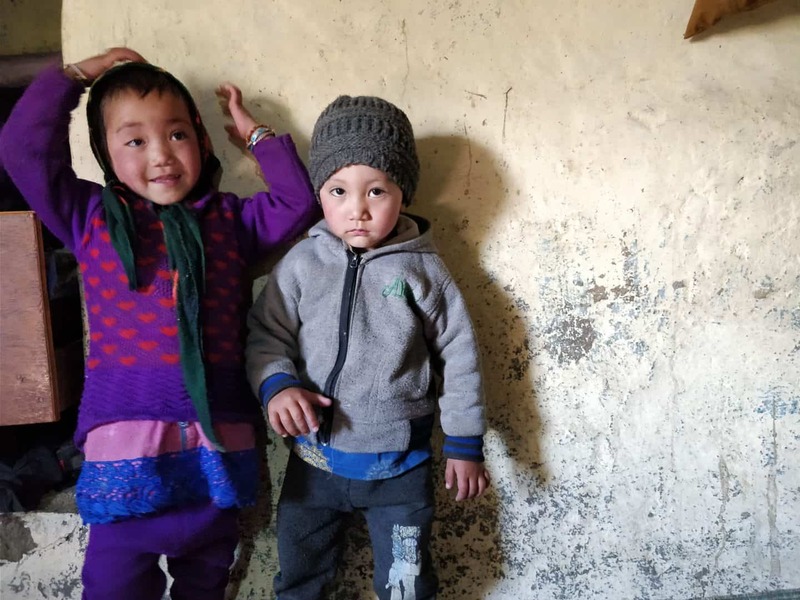 We headed to what was going to be home for the next days – Pema Guesthouse, where we were greeted by the cutest of kids, hot chai and a cozy room warmed by achaktap. (Spitian for tandoor). Here’s a breakdown of the money spent on the second day of Spiti valley budget trip. This was our very first morning in Spiti Valley, and we couldn’t contain our excitement. An early morning walk around the place exposed us to happy puppies and locals jetting water out of pumps. After eating delicious aloo parathas for breakfast at our homestay, we headed to a remote village Langza. What we noticed within a millisecond was a towering Golden Buddha statue pitched against clear blue skies. Numberless prayer flags signifying a strong Buddhist presence marked the already charming Langza. Tip: Forget not, to hunt for fossils of prehistoric marine animals, found in abundance all around the place. Our final destination for the day was Demul Khas, a place not as visited as Langza and Komik, making it all the more beautiful. A good 2-hour drive made us all witnesses to blue sheep, and turbulent weather. Our whims and fancies got catered to as we reached Demul around 4:30 PM – it snowed! We then headed to an unknown house, one that felt homely, one that warmed us up with chai. Our next stop was Komik, situated at a lofty 4,587 meters and known as the “world’s highest motorable village” attracting travellers from far & wide. 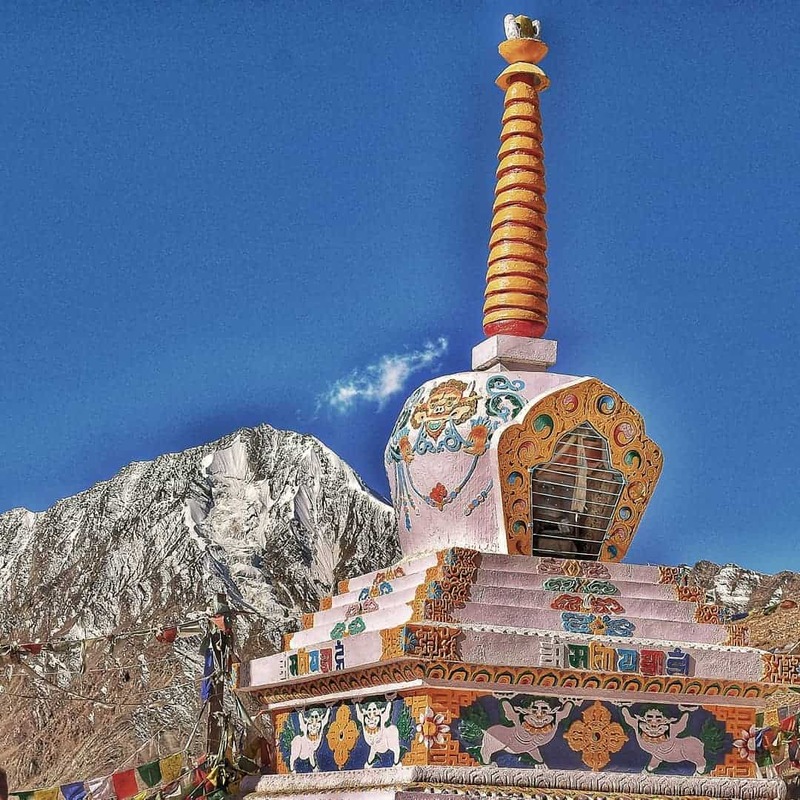 Known for the Tsemo Gompa Buddhist Monastery, Komik is indisputable. Our Spiti Valley Budget Trip was turning out to be exemplary. We got back to Kaza at 7 pm and were greeted by no electricity. Our cold bodies craved the electric heaters placed in our rooms, but we warmed ourselves up in a room made cosy with people and a chaktap – life was good. Here’s a breakdown of the money spent on the third day of Spiti valley budget trip. A 15 kilometre drive from Kaza took us to the very prominent Key Monastery – one that features in a number of master photographs from Spiti. Key looks almost magical, straight out of a fantasy book. Due to a lack of snowfall in Spiti in 2018, the monks at Key were performing prayers (badipooja) which we were lucky enough to witness. Picture this: 30 monks dressed in bright maroonish-red, the mystic architecture, and vast stretches of land of nothingness. We then proceeded to the not very popular Gete Village, which offers you a top view of the enchanting Key Monastery. Driving a little further will take you to Tashigang, which is apparently the highest village in Spiti Valley – 2,650 meters above sea level, home to barely 5-6 homes. It was a little village, indeed. In a village called Chicham, we got lucky and saw about a hundred yaks being tamed for agriculture. In Spiti that generally commences in late April. The highlight of Day 4 nevertheless, was driving our car on vast stretches of nothing but ice. Tip: Do not try these tricks. It can be dangerous! We finally made our way to Kibber, a village big by Spitian standards, and one that is popular for snow leopard spottings. The best recommendation of stay for your Spiti Valley Budget Trip would be choosing homestays over the commercialized hotels. What made Day 4 the best day of my Spiti Valley Budget Trip, was a 20 kilometre drive to a place no blog will tell you of – La Darcha. 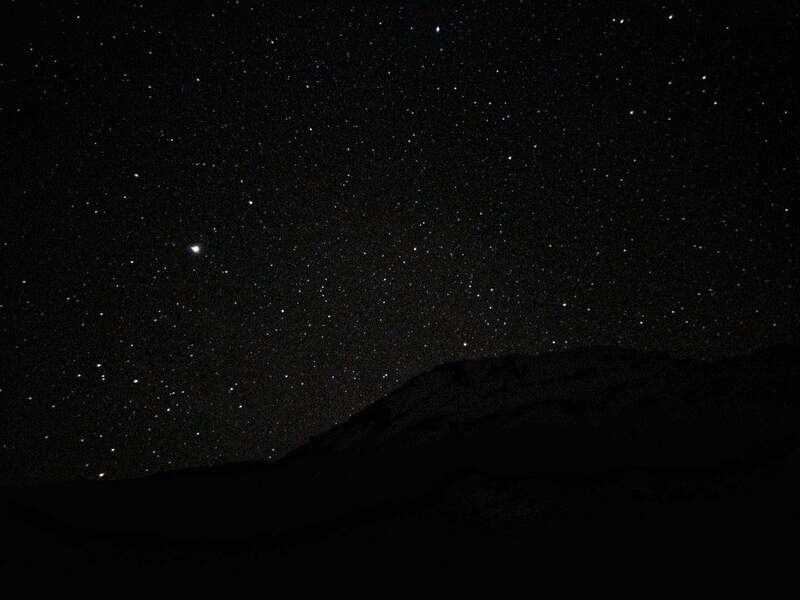 An invisible moon and an electricity cut led us to see about a million stars, comets and shooting stars in the sky. The temperature dropped to a freezing -18 degrees Celsius, our hands were numb, and all we had to keep ourselves warm was a flask of chai, a bonfire, and our high spirits. A long 50 kilometre drive took us to Dhankhar. 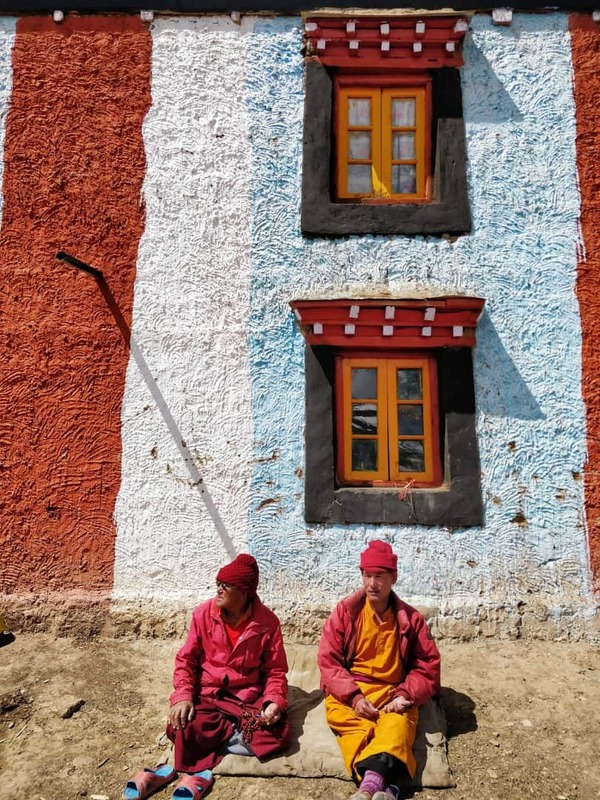 Home to about 150 monks, Dhankhar Monastery is the newest of all in Spiti Valley. What makes it even prettier is the breathtaking view it withholds – that of the beautiful confluence of Spiti and Pin Rivers. In spite of being worn out, we then made up our minds to trek to Dhankhar Lake, which was a trail of about 3 kilometres. The best thing to do for a successful Spiti Valley Budget Trip would be choosing trekking over driving. Tip: Although 3 kilometres might sound easy, the high altitude leaves you breathless at multiple points. Reconsider the trek if you have any serious health conditions. After spending a happy 2 hours with dogs that voluntarily accompanied us on the trek, we commenced our descent. Next on our list was Pin Valley National Park, and we were to spend the night in Mudh, hidden deep within Pin. We reached the top in an hour and were amazed to see a lake that was 80% frozen and 20% water. Once again, to ensure a Spiti Valley Budget Trip, make sure you scan through all the options available for accommodation before finalizing on one. Tired from the long day, we spent the night watching a movie indoors. We finally headed to the destination we’d read the most about. Since the very start of our trip, we’d dreamed about getting postcards stamped at the highest post office of the world, which happens to be in Hikkim. 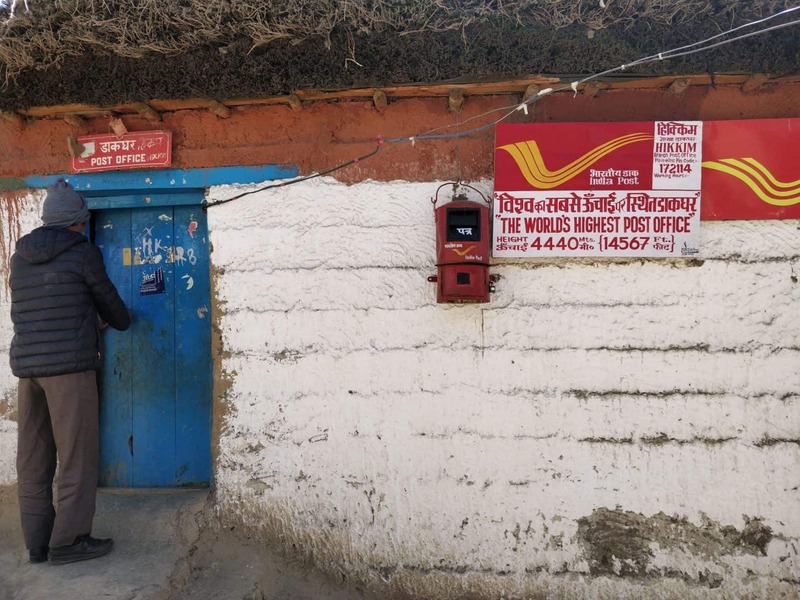 A beautiful mud structure painted in white, with a cute little postbox right by the door totally stood out.We received a warm welcome by Rinchen Cherring, the postmaster, who has been doing this very job since the past 30 years. 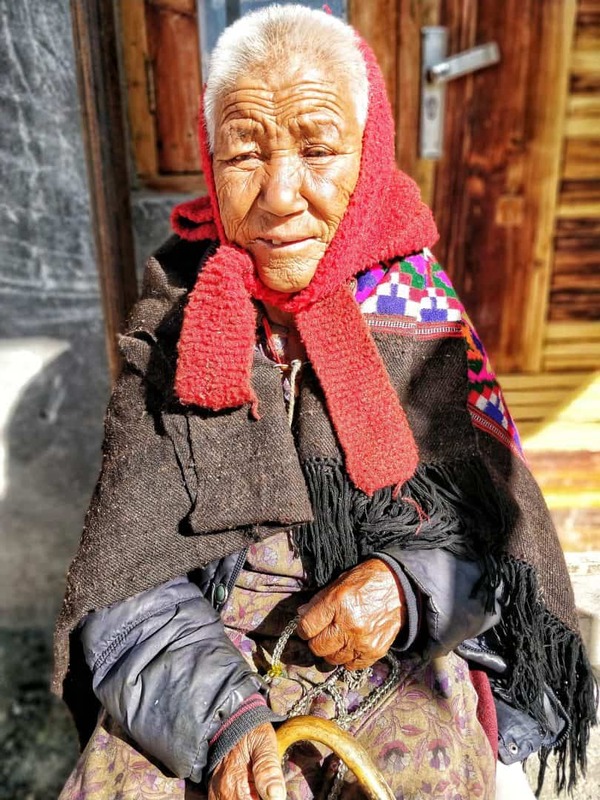 Cherring successfully ensures that amidst no cell phone reception, the residents of Hikkim have at least some connection with the rest of the world. With no other employees to assist him, he indeed is an unsung hero. If you leave Hikkim without sending out postcards to your loved ones, your Spiti Valley Budget Trip won’t be complete. Tip: Make sure you have addresses of the recipients in place for there won’t be any network in Hikkim. We spent the evening strolling around the markets of Kaza, relishing the best momos we’d had over the trip, and purchasing warmer woolens than we owned, for Day 7 was going to be the coldest of all. To make your Spiti Valley Budget Trip even more economical, do try your hand at bargaining. What we did after our spending hours at the PO was not on our itinerary at all. We drove our car plastered in mud and snow into the Spiti River, and washed all the dirt away. This is definitely not something we would get to do back at home, and we were thrilled by the sheer experience! This was to be our last day in Spiti, and we were told by the locals that our Spiti Valley Budget Trip would be wholesome if we spared a day to visit Losar and Kunzum Pass. Losar is a scenic hamlet, known to be the last inhabited village on the Indo-China border. There isn’t much to do out there, but that’s where the beauty lies oftentimes – in doing nothing. Another 20 kilometers ahead of Losar, lies Kunzum Pass. After being reassured about the roads by locals, we proceeded to Kunzum as planned. The mountains, the roads, the trees were all covered with a thick blanket of pitch white snow. With our car’s windshield covered with mud, we finally made it to Kunzum. We had snow up till our knees, but we sure did not mind it. After glaring at the stark beauty of Kunzum, after failed attempts at building a snowman, after hiking up to the temple, and after bringing back to life a car stuck in mucky snow, we made our way back. Tip: Kunzum has no restaurants, houses, or shops. Make sure you stock up on food and water beforehand. Our Spiti Valley Budget Trip was coming to an end, but we’d never been happier. Our journey back to Kaza had in store for us sightings of Himalayan Drifters and Red Foxes. We were elated. With heavy hearts, we bid goodbye to Kaza. It almost felt like we were completely disconnected from the world outside, and that we had nothing to do with it. And that feeling was the most beautiful. A comfortable bus journey, one where we constantly found ourselves mulling over photographs from the trip, was all we needed. We reached Peo at about 4:30 PM, and decided to stay the night at Kalpa instead. Kalpa finds itself at a distance of about 6-8 kilometres from Reckong Peo and is much colder, greener and quieter. Peo and Kalpa are connected by a number of daily local buses. We made it to our accommodation at about 6 PM and were flattered by the greenery – something we missed back in Spiti. An economical option for your stay at Kalpa, as part of the Spiti Valley Budget Trip, would be Shankar Guest House. Here’s a breakdown of the money spent on the eighth day of Spiti valley budget trip. 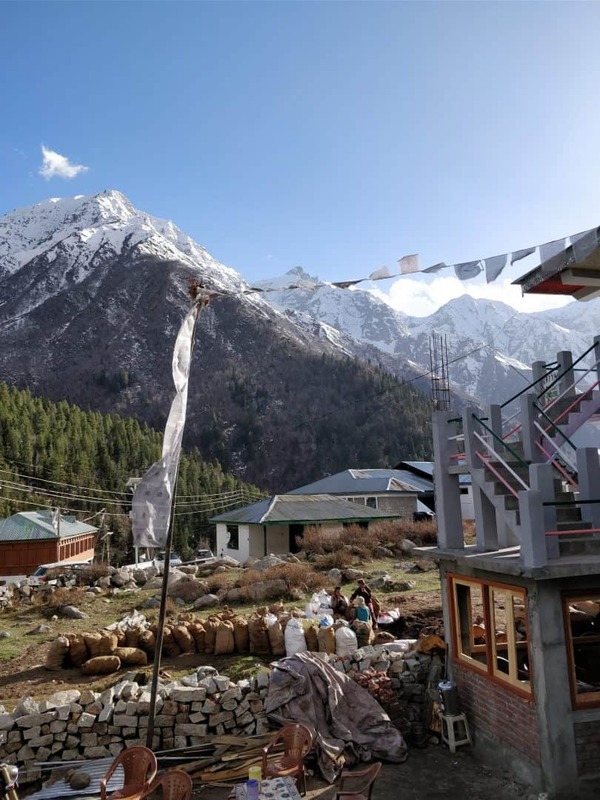 Although not a part of Spiti Valley, it would be worth making a visit to Sangla and Chitkul in Kinnaur District at either the beginning or towards the end of your Spiti Valley Budget Trip, just as we did. Your eyes would definitely be craving the greens. 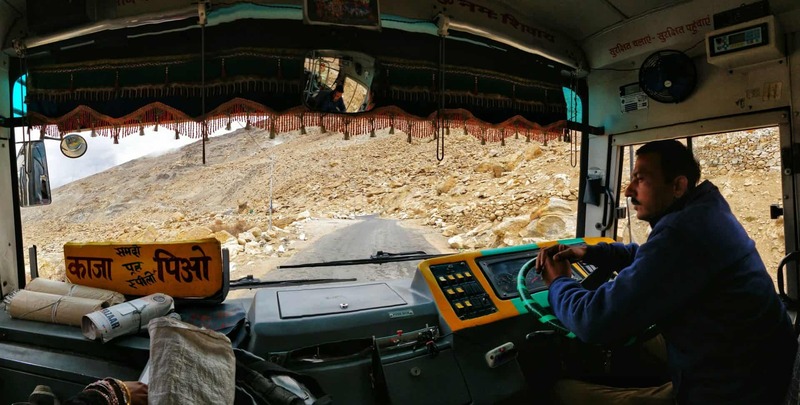 You can easily get local buses starting Kalpa and Peo to both Sangla and Chitkul. Tip: Clarify the timings of these buses beforehand, to avoid further confusion. We made ourselves comfortable on a terrace-café, and as we sipped on hot coffee and watched the locals farming, life seemed to be perfect. To our horror, there were no buses back to Sangla for the day. We, however, got lucky, and made it back in an open jeep; it was windy, and the sun was setting. We hopped on to a bus to Chitkul that left Peo at 12 PM. Only a few kilometres away from the Indo-Tibet border, Chitkul is majestic. Finding a reasonable place to stay in Sangla, completed Day 9. We took the bus to Shimla early in the morning, and a bus to Delhi at night. Transportation costs formed a major bulk of our Spiti valley budget trip. I have given all the costs starting from Mumbai and ending in Mumbai. Thinking about life on the road often brings to the fore fears of lack of money. Although money is crucial, it is fortunately not all that is required for a worthy trip. Is Spiti Safe as a Travel Destination? 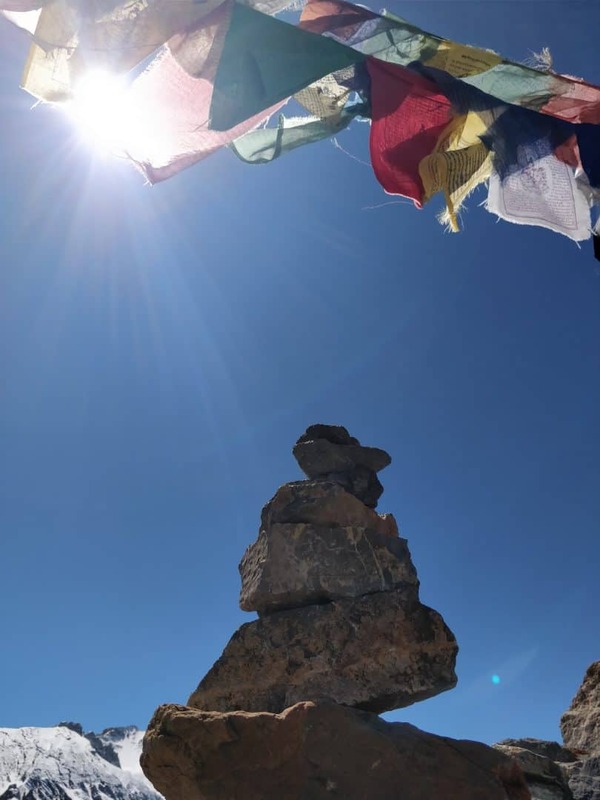 A lot of people who’re planning a trip to Spiti are not aware of the dangers of the locale, the nature of people and the mountain life overall. Thus, they end up worrying and thinking is Spiti safe or not. You should be well aware of the hardships that come with taking a trip to Spiti Valley if any. 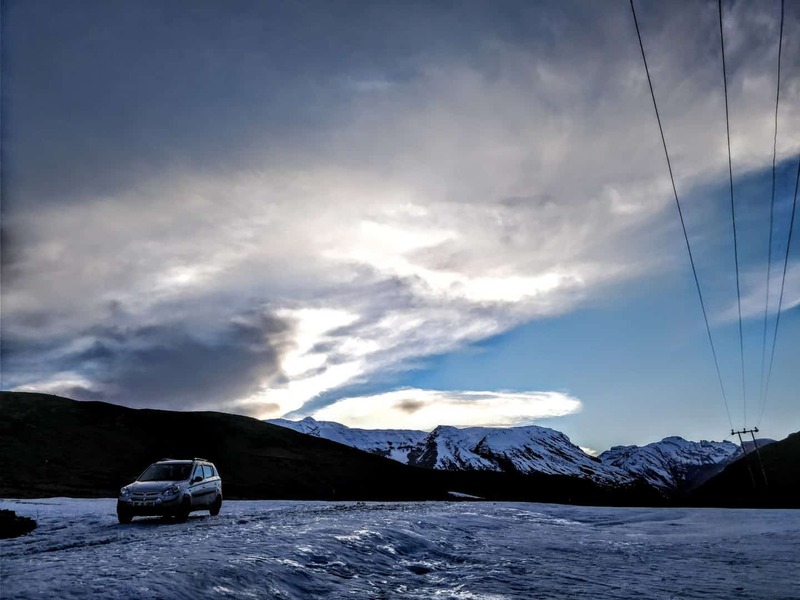 Following are a few simple, but crucial tips that will ensure that your Spiti Valley Budget Trip is as economical as it can get. 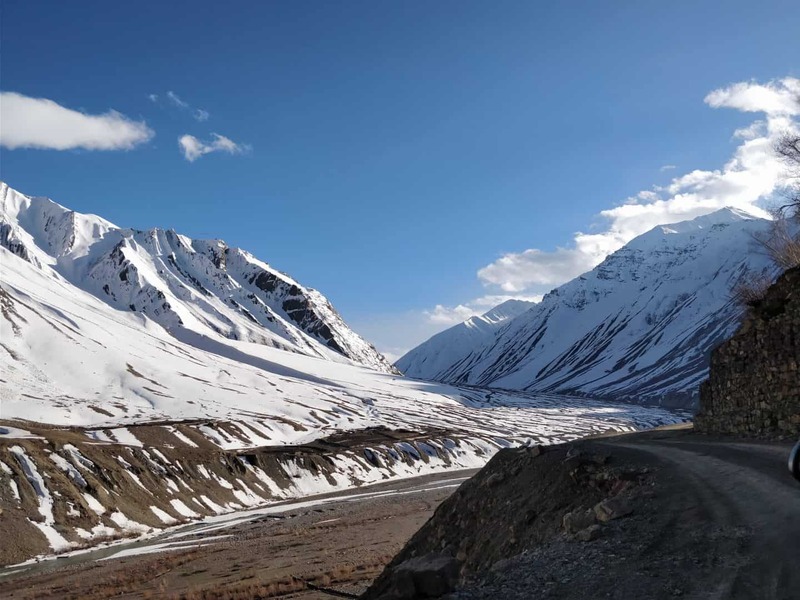 Season – Although we managed to have a Spiti Valley Budget Trip even in the month of April, travelling in the months of May-September (peak season for Spiti) will assure you better deals. Public Transport –Although it might get a little too bumpy at times, the local HRTC buses are as efficient they can get, and will make sure you have a safe & cheap journey. Travel Groups – Spiti is safe and compatible with solo travellers, but travelling in groups of 3 or more would help you save on costs when it comes to stay and taxis. 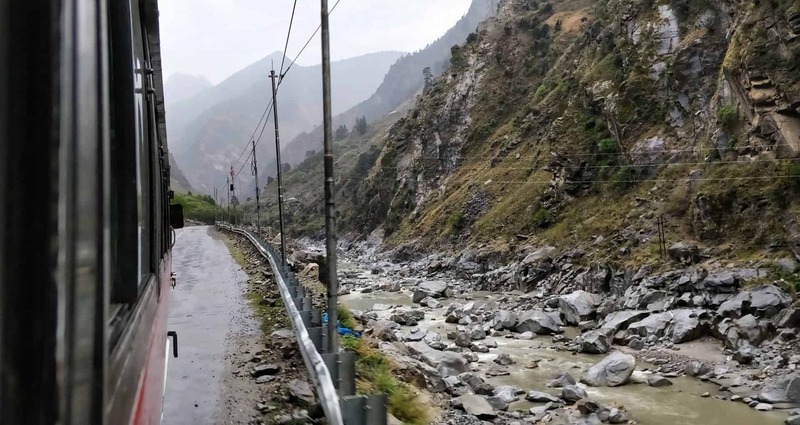 Spontaneity – Although you might lean towards wanting to have a fixed plan and have advance bookings, a lot can go wrong when travelling to Spiti – landslides, roadblocks, etc. It would thus make sense to book on the spot, to avoid any cancellations. Food – Stick to grabbing most of your meals in locals’ homes instead of in cafes/restaurants; make it a point to carry fruits and water at all points. 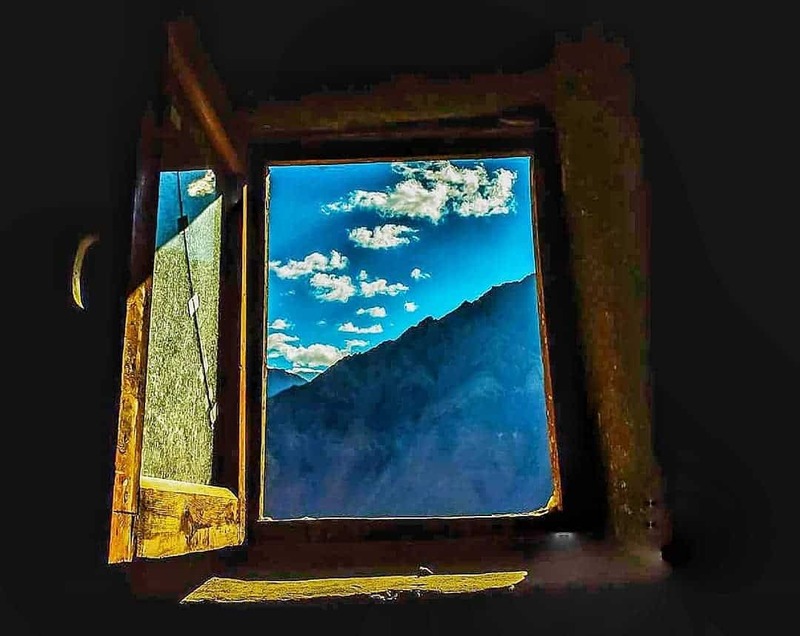 Lifts – It isn’t very difficult to get a free lift from one town to another in Spiti Valley, and while this will save you a few dimes, it will also give you the experience to remember always! Adventure – If you’re someone who craves thrill & adventure, carrying tents & sleeping bags would be a great idea! 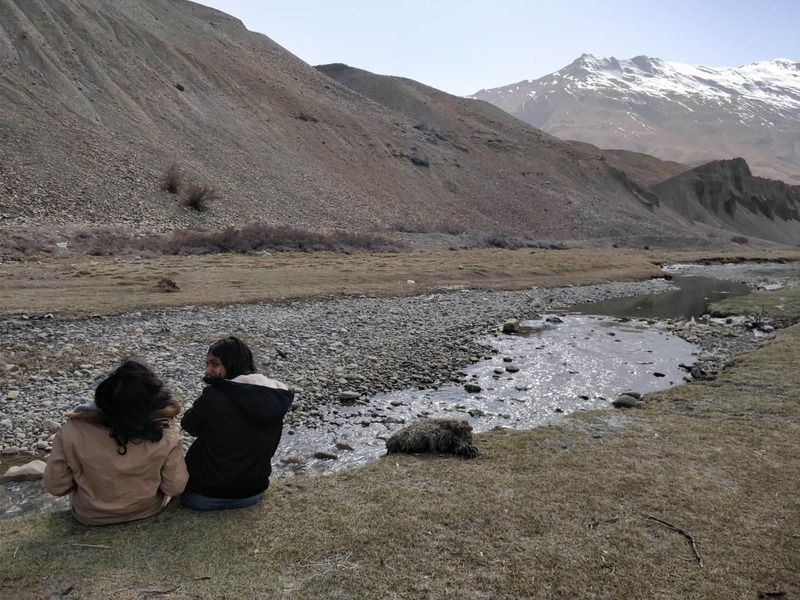 Although Spiti Valley is being frequented by travellers now more often than ever, it doesn’t change the fact that elaborate planning is required to enjoy even the rugged terrains and the extreme weather conditions. 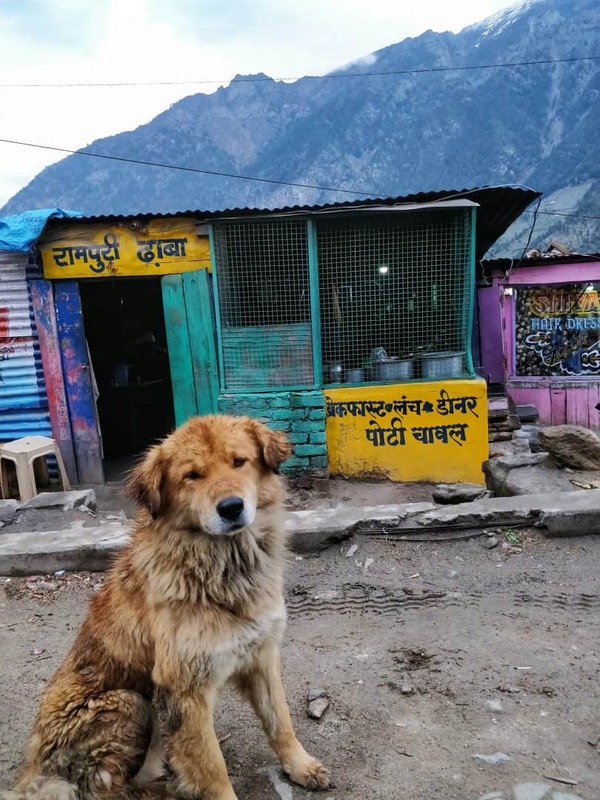 Only BSNL connection will work in Spiti Valley and has the widest coverage of connectivity. 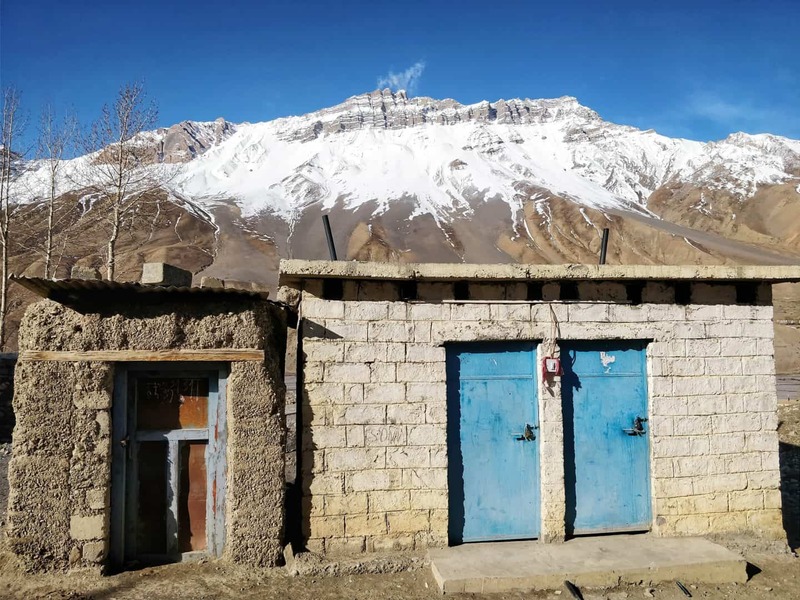 A number of villages in Spiti offer only organic toilets. Make sure you have anticipated your expenses well in advance, for depending on ATM’s or card payments in Spiti is risky. Carry clothes that can be worn in layers – this will help you adjust to fluctuating temperatures. Spiti is a remote desert and electricity cuts aren’t a rare phenomenon. Make sure you’re well prepared for the same. Carry portable chargers. To avoid skin problems, make sure you’re well moisturized at all points. Carry Moisturizers and sunscreen lotions. It took me no convincing to book my tickets to Spiti Valley. If someone asks me to describe these 10 days of my life, I wouldn’t be able to do it in less than 6 hours. 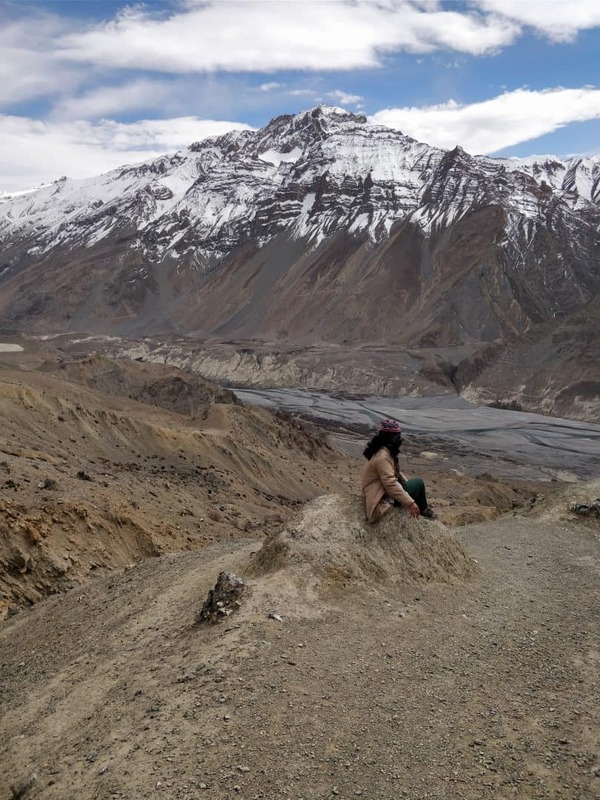 Spiti has so much to offer, that there’s definitely going to be someplace you’ll miss out on. Nako, Tabo and Chandertal Lake were some of the many places that we couldn’t cover. But isn’t that where the beauty lies? It will keep calling out on you. Over and over again. Tarang Mohnot is a student of Economics and Sociology at St. Xavier’s College in Mumbai. Constantly trying to quench her thirst for travel, Tarang’s goal in life is to keep on getting her passport stamped over and over again. This implies that she wants to explore new destinations each year. Resorting to a local inhabitant’s advice over Google searches, to physical maps over Google maps, to haversacks over suitcases, and to exploration over planning, Tarang hopes to visit places no one has ever been and to share her travel experiences with thousands all over the world – something her CV won’t ever tell. THIS POST ENTITLED, “Backpacking to Spiti Valley on a Budget: Himachal’s Far Away Land” IS AN EXCLUSIVE PROPERTY OF BUDGET WAYFARERS. 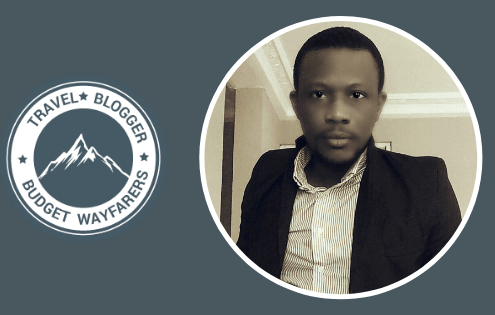 ANY INDIVIDUAL OR ASSOCIATION INDULGING IN PLAGIARISM WILL BE DEALT WITH STRICTLY. IF YOU WANT TO USE INFORMATION FROM THE ARTICLE ABOVE, KINDLY QUOTE THE SOURCE.